$28.88 This item is selling for $28.88 on eBay. SOFT 6 PIECE 1800 LUXURY THREAD COUNT EGYPTIAN COTTON FEEL SHEET SET DEEP POCKET Bluff City Bedding: Extreme luxury at an affordable price! Treat yourself to a wonderful 6 piece set of 100% fiber blend sheets that have a perfect cotton/sateen feel that dreams are made of. These highly durable sheets are designed for both home and hospitality use. Each set comes with 4 pillowcases, 1 flat sheet, and 1 fitted sheet. The fitted sheet will fit up to 18 inch mattresses and has a very strong elastic that runs along the whole fitted sheet. While the sheets are easy to care for, the fabric is designed to be both wrinkle free and fade resistant. They will keep you cool in the summer and warm in the winter. 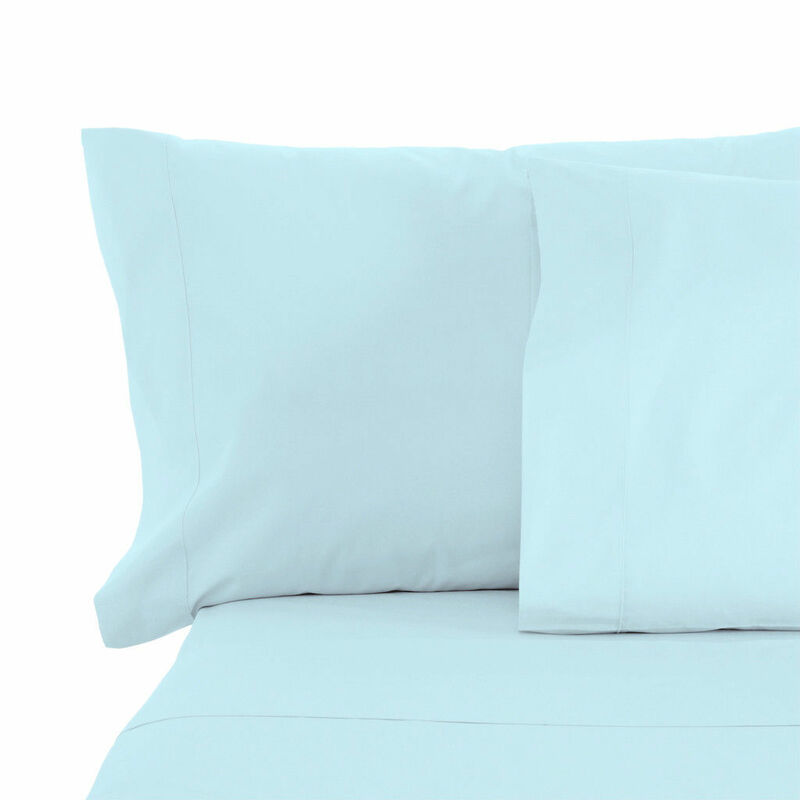 You can wash and dry these sheets with ease due to the versatile material that is hypoallergenic and repels dust mites. With 12 colors to choose from, we have all your matching needs at a great price! Cal King King 6 Piece Set Includes: Fitted sheet 78" x 80" x 18" Flat sheet 102" x 105" 4 Pillowcases 20" x 40" Queen 6 Piece Set Includes: Fitted sheet 60" x 80" x 18" Flat sheet 90" x 102" 4 Pillowcases 20" x 30" Full Double 6 Piece Set Includes: Fitted sheet 54" x 75" x 18" Flat sheet 81" x 96" 4 Pillowcases 20" x 30" Twin Single Set Includes: Fitted sheet 39" x 75" x 18" Flat sheet 66" x 96" 3 Pillowcase 20" x 30" Customer Service: We are committed to providing exceptional customer service to meet all of your needs! All of your questions will be answered within 24 hours, excluding major US holidays. We ask that before you open a case or leave feedback, please contact us so we can handle the situation to the best of our abilities. Money Back Guarantee: We offer a full 30 day 100% customer satisfaction money back guarantee for all our bedding products. Bluff City Bedding wants you to shop with confidence! Free Shipping: We offer free shipping on all orders within the United States. Packages are processed and shipped within 24 hours after payment is completed. Tracking information is available for all U.S and International orders. International Shipping: Shipping can take up to 30 days depending on destination country and Customs. Shipments are sent thru DHLe. There may be additional Customs charges in the destination country. Please check all customs information before ordering. If you do not see your country listed, we currently cannot ship to you. If you have any additional questions regarding international shipping, please contact us before placing your order.